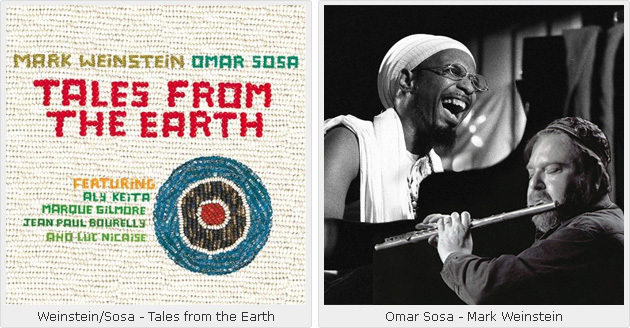 Tales from the Earth (Otá Records) by flutist, Mark Weinstein and pianist and vibraphonist Omar Sosa is one of the most extraordinary musical expeditions in a long time. The need for a subscript is not necessary. The extraordinary depth and ethereal beauty of the music would suffice. Nevertheless, one that subscript becomes evident then the music touches parts of the body that much music might not. There is really no beginning and no end. To enter this musical continuum with eyes wide shut and to listen with the heart and soul and every pore of the being is essential. Perhaps it is the result of a childhood epiphany, which Weinstein recalled years later. Like epic music that is worshipful and healing, profoundly hypnotic as an interminable dance, it simply skips and rushes, cartwheels and catapults. The notes and phrases are alive and breathe as they entwine into each other like gilded braid. One strain… an idea… then the voice of another world of music unfolding almost like an ocean tumbling in harness… Suddenly drums and kalimbas sing and with a rumble and thud quaking of the earth begin. Sadness flows as one of the darkest moments of human history is relived… then; not joy, but resignation—and peace. Such primeaval beauty in melody, harmonic and utterly exquisite polyrhythms… slicing through voices that meander in more melodic counterpoint. Mark Weinstein probably imagined something like this all his life. However, it is pure chance brought the flutist together with guitarist extraordinaire, Jean Paul Bourelly and the piano wizard, Omar Sosa. The occasion was the Black Atlantic/Congo Square that Bourelly was organizing in Berlin in 2004. For Weinstein, the opportunity to play with these musicians as well as the bassist, Stan Michalak and the balaphon master Aly Keita was much the lure. Then the chilling subscript comes into play: The venue for the recording was the same building that was once the Ministry of Information during the Nazi era. For Mark Weinstein the project now must have been one by Divine design. The music reflects just that as none of the music was written. The music appears to have been dictated by a Divine muse and attendent spirits. Nothing else can explain the mesmerizing set that simply flows from track to track. Tracks: Sunrise; Invocation; Walking Song; Tea Break; Forest Journey; River Crossing; Children at Play; Men’s Talk; Flirtation; Praise; Spirit Messenger; Celebration; Elders Speak; Gratitude. 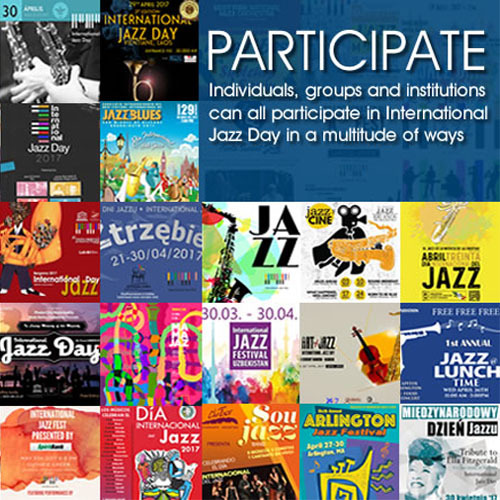 Personnel: Mark Weinstein: concert alto and bass flutes; Omar Sosa: vibraphone, marimba, piano, percussion; Aly Keita: balafon; Jean Paul Bourelly: guitar; Stanislau Michalak: bass; Marque Gilmore: drums; Aho Luc Nicaise: lead vocals, percussion; Mathias Agbokou: vocals, percussion.